Architecture and design firm CetraRuddy is relocating from its longtime office in Soho to the Financial District. The company, perhaps best known for designing the One Madison condo building in the Flatiron District, signed an 11-year lease at Rudin Management and Allianz Real Estate of America’s One Battery Park Plaza, the Wall Street Journal reported. A spokesperson for Rudin told The Real Deal that the lease covers 22,894 square feet. The firm is moving from 584 Broadway. 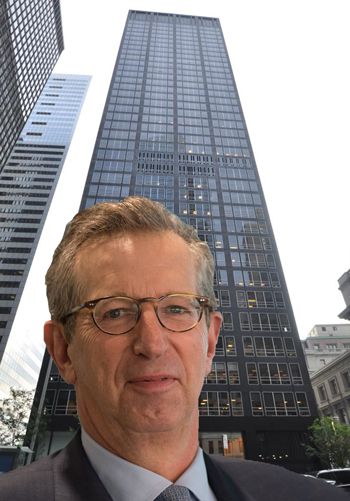 “You are seeing the continued movement of architectural and design firms downtown,” Rudin Management CEO Bill Rudin told the Journal. The 870,000-square-foot One Battery Park Plaza is almost fully leased after the owners upgraded the building, including a lobby renovation and new elevator cabs. CetraRuddy expects to move its 108 employees at the end of the year.